Skoda Superb gets maximum crash test score | What Car? The Skoda Superb, Hyundai i20 and Fiat Panda Cross are the latest models to go through the Euro NCAP crash testing, with the Superb the only one of the three to get the maximum five-star score. The Fiat Panda Cross fared least well, with a three-star rating, while the Hyundai i20 got four stars. The Panda's low score was largely due to not having many safety assistance technologies. It comes with ESC anti-skid control as standard, but AEB city braking is only optional while higher speed autonomous braking is not available at all. It also misses out on lane-keep assist. The Panda was also criticised for its performance in the new full-width front-on test, which is designed to rate the protection afforded to the front seat passengers in the case of a crash. The Hyundai i20 performed better but missed out on the maximum five-star score because it also doesn't come with an AEB system. It was praised for offering a decent level of crash protection for its segment, though. The Skoda Superb came out top in the latest rankings and was also praised for its crash protection. Euro NCAP testers also noted the wide range of crash test avoidance systems, including its Multi Collision Brake system, which applies the brakes to limit further damage in the case of a motorway pile-up or similar accident. 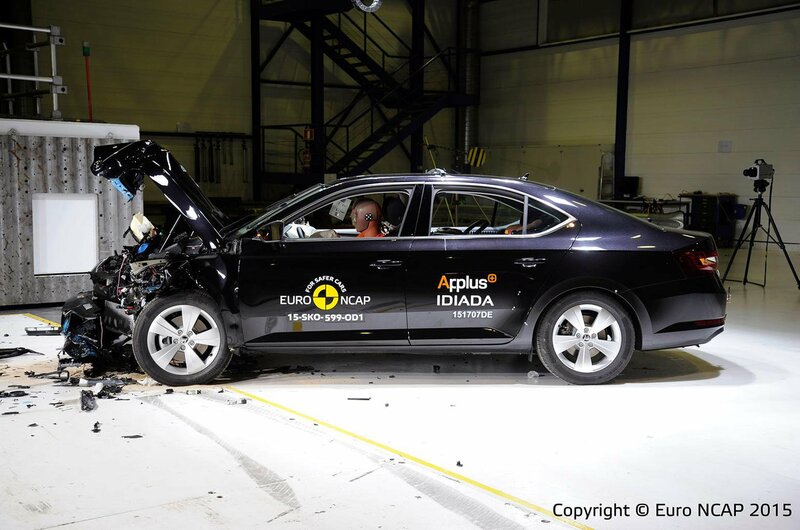 The full results are available on the Euro NCAP website.